Product detail : The 5th Dimension pack! Dimension5 - TransAddendum, the best unreleased tracks of the 90s of this magical group, brought together on 1 cd! 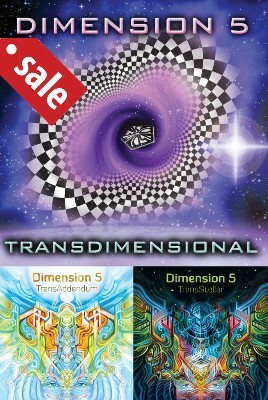 Dimension5 - TransStellar, rare vinyl and cd-tracks, collected on 1 magical cd! Only available on the Suntrip shop!